The iconic shooter-looter gets in your face! Virtually immerse yourself in the untamed world of Borderlands. 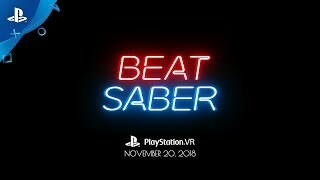 Bundle includes PlayStation®VR headset, PlayStation®Camera, 2 MOVE controllers, Demo Disc 2.0, Borderlands 2 VR game voucher and Beat Saber voucher. The iconic shooter-looter gets in your face! Virtually immerse yourself in the untamed world of Borderlands. Step into the boots of a treasure-seeking Vault Hunter armed with 87 bazillion guns on a quest to line your pockets with loot. Blast bandits with real-world aiming, punch psychos in the mouth, race across the desert in stolen bandit vehicles and free Pandora from Handsome Jack’s clutches! A PS4™ system (sold separately) is required to use PlayStation®VR. 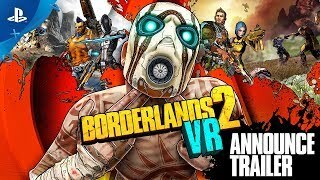 Internet connection and account for PlayStation®Network required to download Borderlands 2 VR and Beat Saber. “PlayStation” and the “PS” Family logo are registered trademarks of Sony Interactive Entertainment Inc.
©2009–2018 IPerion, LLC. All rights reserved. Published and distributed by 2K Games, Inc. under license from Gearbox Software, LLC. 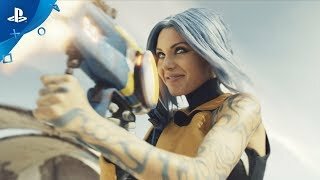 Gearbox, Borderlands and the Gearbox Software and Borderlands logos are registered trademarks, all used courtesy of Gearbox Software, LLC. 2K and the 2K logo are trademarks of Take-Two Interactive Software, Inc. Uses Bink Video. Copyright © 1997–2018 by RAD Game Tools Inc. Powered by Wwise © 2006–2018 Audiokinetic Inc. This software product includes Autodesk® Scaleform® software, © 2013 Autodesk, Inc. All rights reserved. All other copyrights or trademarks are the property of their respective owners. © 2018 Beat Games. All rights reserved. 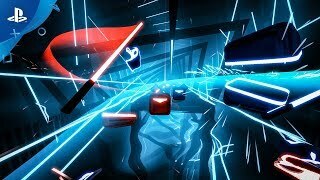 Beat Saber is a trademark of Beat Games.